Toy horses are usually pink and plastic – and aimed at young girls. But this little pony is 100 per cent natural – and ready to make friends with anyone her size. 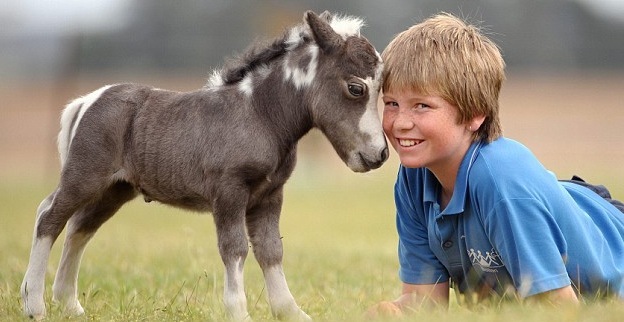 Born ten days ago…in the southern state of Victoria, Australia, the…miniature horse – which is yet to be named – has already formed a bond with Sam Leith, 12.